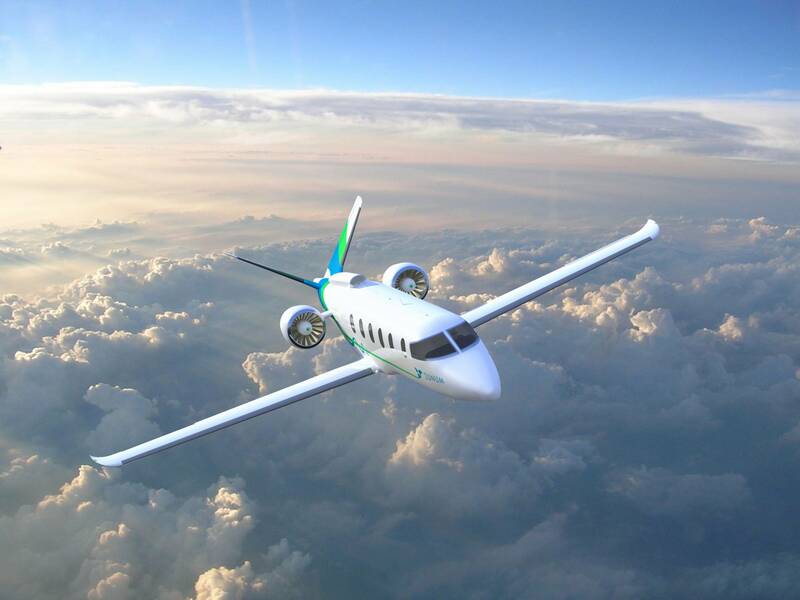 Kirkland, Washington-based startup Zunum Aero has decided on a 12-seat hybrid-electric airplane capable of flying as far as 700 miles as the launch vehicle for its effort to introduce to the market the first in a family of electric aircraft by 2022, the company announced Thursday. Designed to operate cheaply enough to rejuvenate a network of 5,000 underused regional and general aviation airports in the U.S., the Zunum 12-seater would offer a direct seat-mile cost of 8 cents or $250 an hour. Flying at a maximum cruise speed of 340 miles per hour, it would also take off from runways as short as 2,200 feet and produce 80 percent lower noise and emissions than a typical turboprop it would replace. Underlying technologies that would allow for such performance include a battery-type “agnostic” powertrain engineered for what Zunum calls a seamless transition from hybrid to fully electric power; quiet electric propulsors with variable pitch fans, enabling a 40 percent reduction in runway length needs and a 75 percent drop in community noise; wing-integrated batteries that allow tailoring of onboard battery capacity and quick swap or recharge at airports; and a so-called optimization and control platform that provides real-time flight energy optimization, power management, fault detection and recovery. Zunum, which expects to start flight tests in 2019, has recently opened a second development center in the Chicago area. Recent hires include senior technologists with leadership roles across power electronics, electric motors and propulsors on programs such as the Boeing 787, Lockheed Martin F-35 and the Rolls-Royce Ultrafan. Along with backing by Boeing through its Boeing HorizonX “innovation cell” and JetBlue Technology Ventures, Zunum has formed a long-term partnership with the Center of Power Optimization of Electro-Thermal Systems, an NSF Engineering Research Center at the University of Illinois. Separately, the team has engaged with the U.S. Federal Aviation Administration since 2014 on certification standards for electric aircraft. The company said it expects the FAA to develop the first set of standards for electric aircraft next year.